We are located only a few minutes from the Metro Centre and Newcastle, (just off the A1 and A69) with free parking. We have a large newly refurbished premises with a friendly and relaxing atmosphere with very spacious fitting rooms. We can give you the best possible advice and help you through the selection, ordering and fitting process. We look forward to seeing you and helping you make your Wedding day as special as you are. We are getting a lot of calls and questions about the sale. So I thought I would just post the info on here. 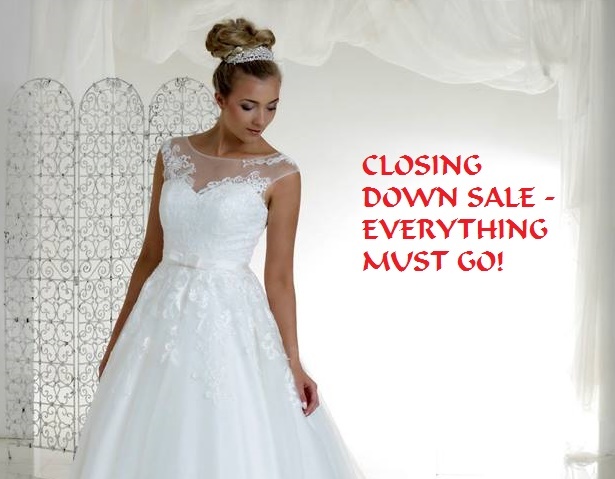 The dresses are ALL in the sale, 50% discount off the retail price. We have dresses from a size 8 up to a size 30, and you take away on the day you buy. All veils and accessories and shoes are also half price! Hope to see you all soon!